Wednesday, May 22, 2019, 3:30 – 5:30 p.m. 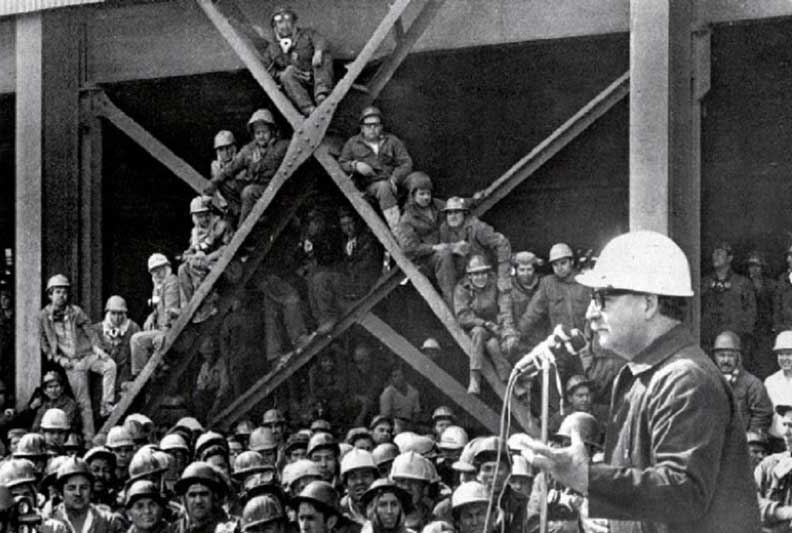 The first years of 1970s Chile were marked both by Salvador Allende’s commitment to paving a non-violent “road to socialism” and to the advances of popular power, which tended to outpace the legal apparatus of the Popular Unity government. Popular power was most notably present in reporting on land and factory takeovers, yet there were also writers and film directors dedicated to critically exploring—and in some cases replicating—this phenomenon through a fictional lens. This presentation will center on two creative works by writer Guillermo Atías and filmmaker Raúl Ruiz, each of which is set in a worker-controlled factory and suggest new roles for mass media technologies as revolutionary tools. Elizabeth Hochberg is a Teaching Associate in the Department of Spanish and Portuguese Studies at the University of Washington. She received her PhD in Spanish and Portuguese from Princeton University in 2018 and is currently preparing a book manuscript on cultural production, state educational initiatives, and mass media technologies in Chile.